I’m thinking about rebranding as The Branding Institute, Poppe Advisory Center. It has branding in the name, sounds like a bigger company and, as an extra benefit, should increase search results. Not exactly a name that rolls off the tongue but, hey, it’s a Monday. Now if you are into semantics or are part of the super-majority of business people you may take this to mean I’m simply changing my business name. 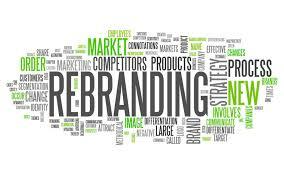 Most people default to name change when you say rebrand. A lesser percentage of people may assume I’m changing my logo, package or website. But real nerds know that branding is way more foundational. Way more than a combination of physical outputs; it’s the means by which you engineer preference. Indelible preference. Bring starts with strategy. Just as a psychiatrist will counsel a depressive person that moving to a new city won’t solve their problems, changing the brand name or product packaging won’t cure marketing ills. One must start with brand strategy – an organizing principle for product, experience and messaging. And since I am not going to change my framework for brand strategy, my tool kits or outputs, it really wouldn’t be a rebrand, now would it. It would be a simple name change. Ah never mind. What’s The Idea? will live to see another day. Previous articleHealth Care Branding Writ Large. Plant Based “Meats” Need a New Name.